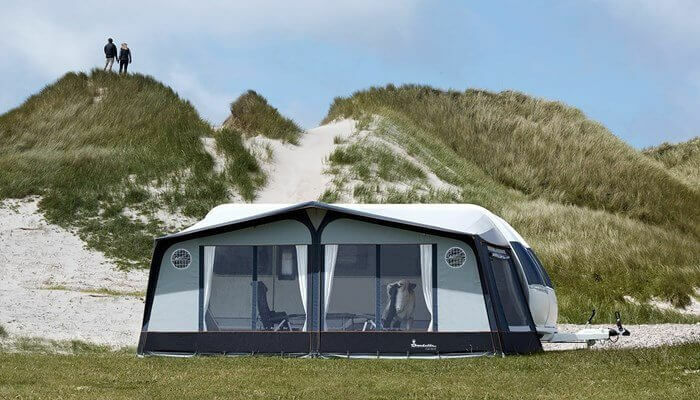 Lightweight Isabella awnings – ideal for touring. 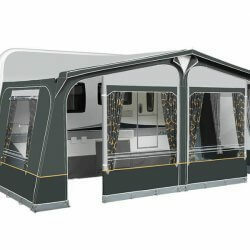 Isabella awnings are an ideal choice for touring caravanners. The Isabella Capri North is lightweight and breathable, it is also made from acrylic material. Quick to erect and easy to transport the Isabella Capri North has tinted windows that make the awning a pleasant place to be. Large mosquito net windows provide extra ventilation without the annoyance of insects on hot summer days and nights. All front and side panels can be folded down to form a veranda or removed completely. Capri North is available with the Zinox tubular steel frame or the ultra-light CarbonX fibreglass frame. Special features: Mosquito nets in both sides, front ventilation, strip on sides. Optional extras for assembly: Annex 250, net side, net front, partition wall, Cosy Corner II, Eclipse FSC, gutter, inner roof, storm securing set.